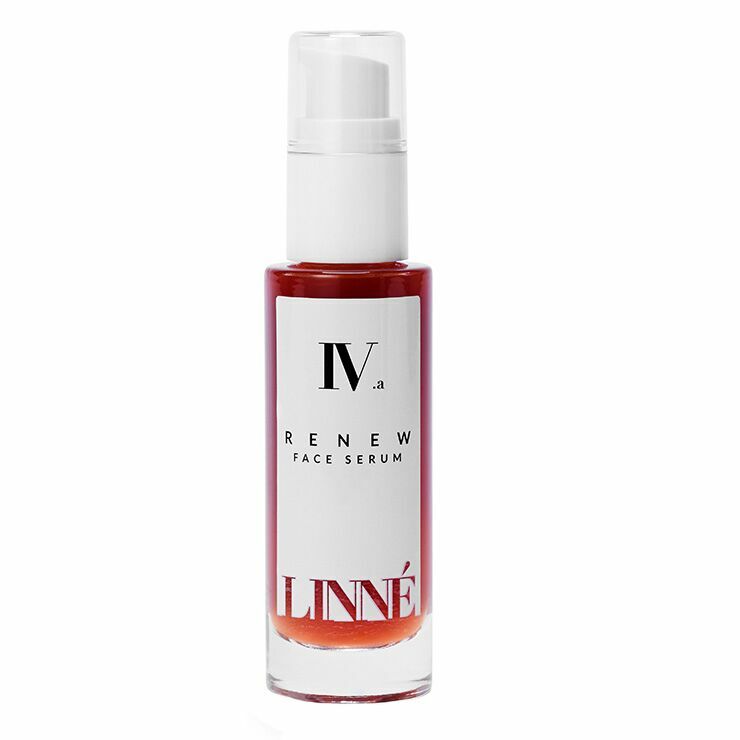 The RENEW Face Serum by LINNÉ delivers an aromatic mélange of vitamins and antioxidants that give skin a calmed and hydrated feel, diminishing the look of inflammation, improving the appearance of skin tone, and leaving skin looking luminous and youthful. Ideal for morning and night, massage 1 pump of serum into face and neck area. Great for the eye area as well. Shake before use. I bought this after being so impressed by the Linne items that came in the Beauty Heroes box. I was enticed by the bright red color of the product and knowing that it would surely have an amazing scent, given how intense the Purify and Activate products are. This did not disappoint! In person, it is more of an orange-red color. And for me, it performs similarly to the Honua Aloha Youth Serum, beautifully hydrating, no stickiness. The scent is utterly delightful! And the color completely disappears on the face.